Approximately 26 million Americans between the ages of 20-69 have hearing loss caused by exposure to loud noises. We understand many people avoid wearing hearing protection because it blocks out the wanted noise along with the unwanted noise. What most people don't realize is that today's generation of hearing protection actually enhances low-level sounds (like conversations), while minimizing the loud sounds that create noise-induced hearing loss. This means if you're working in a noisy environment or attending a concert, you can carry on conversations with colleagues and friends comfortably at the same time you're protecting your hearing from the unwanted noises. There are varying recommendations based on the noise level (decibel) and the time exposed. The chart below by Westone explains when ear protection is needed. Certain professions, including factory workers, construction workers, musicians, and mechanics, require hearing protection more than others. For noisy experiences and hobbies, such as concerts, hunting, and riding motorcycles, you should wear hearing protection, as well. If you're ever in a situation where your hearing is muffled or you hear ringing or buzzing following the experience, that's also a tell tale sign that you're damaging your hearing. We offer many types of hearing protection at various price points depending on your needs and situation. We offer high-end, in-ear musician monitors with multiple drivers for the professional musicians. We offer custom hearing protection devices that offer the ability to adjust the volume for those who need protection on the job. And, we offer recreational ear plugs for situations like loud movies, concerts, and sporting events. Please don't hesitate to call us if you feel you are a good candidate for hearing protection. We do not charge for this initial consultation. Crickets chirping, waves crashing, and campfires crackling are sounds typically associated with fond Summer memories. But, some of the most harmful sounds to your ears are also associated with this season: fireworks, lawnmowers, power tools, and outdoor concerts are among the loudest. More than 26 million Americans ages 20-69 have noise-induced hearing loss. This is caused by damage to the hair cells that are found in our inner ear. Hair cells are small sensory cells that convert the sounds we hear (sound energy) into electrical signals that travel to the brain. Once damaged, our hair cells cannot grow back, causing permanent hearing loss. To help you understand when it's appropriate to protect your ears, we've created the infographic below. If you hear ringing, buzzing or experience temporary hearing loss when operating machinery, leaving work, or following a concert, hearing protection is crucial. Parents - if you can hear sounds from your child's headphones or earbuds while standing next to them, the volume is too loud. If you're constantly exposed to noises over 85dB at work or home, please contact us. We provide many types of hearing protection and can work with you to find the best solution. If you think you're experiencing noise-induced hearing loss, call us for an appointment. We provide hearing evaluations and carry the latest in hearing technologies. We wish you all a happy, healthy Summer. And, please remember to protect your ears! We thought this would be a good follow up to our post last week about the increased rates of hearing loss among teens (now 1 in 5 teens reporting hearing loss), which most health experts attribute to wearing earbuds and headphones while listening to digital entertainment at loud volumes. The hearing of many rock stars has been affected by years of live performances and time spent in recording studios. (In the teen blog post, we referenced how noise-induced hearing loss is very similar to sun damage; that is, you may not notice the results until it's too late.) These stars are now living with hearing loss, Tinnitus, Meniere's Disease, and more. We're sharing their stories in the hopes that parents and kids will pay close attention and realize the importance of hearing protection. The Coldplay lead singer suffers from Tinnitus, which he says, gives him excruciating headaches. He now wears ear plugs to help prevent it from worsening. The lead singer of the rock group AC/DC was told in 2016 by his doctors that he risked total hearing loss if he continued to tour and perform with the band. The legendary songwriter and musician claims that his album, "Weld," really damaged his hearing in the early 90s. He also states that he recorded "Harvest Moon" because he wanted to avoid loud music at the time. He suffers from Tinnitus. Music legend Sting suffers from hearing loss and openly discusses living with it. In an interview with SiriusXM, he stated, "I'm fairly deaf. 'What?' is my favorite word." He has also previously advocated for conscious hearing and safe listening practices as an ambassador for the Hear the World Foundation. Rocker Ryan Adams (and ex-husband of "This Is Us" star Mandy Moore) has suffered for years from Tinnitus and Meniere's Disease. He often shares his experiences online and acts as an advocate for those with Meniere's. He took time off from playing music around 2009 to deal with the disorders. 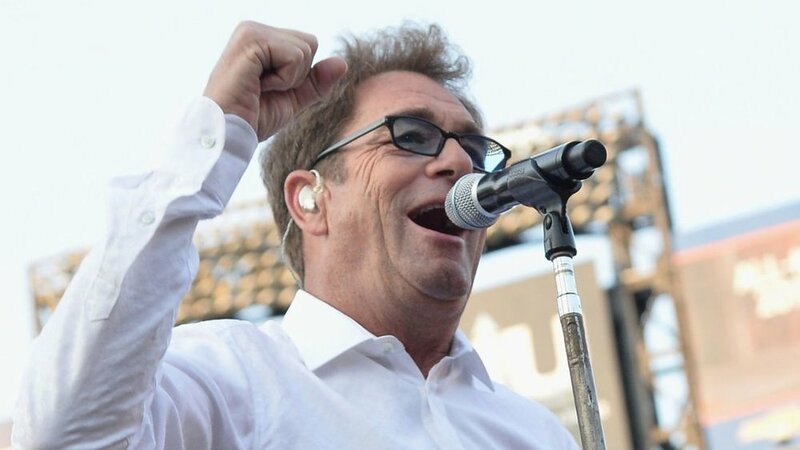 Huey Lewis accounted on April 19 that he is canceling his upcoming 2018 tour due to hearing loss, saying hearing himself sing during performances is difficult. The legendary guitar player announced this year that he's losing his hearing and struggles with Tinnitus, but promises to keep playing as long as he can. The Black Sabbath front man and reality show star has suffered significant hearing loss due to his heavy metal and 'alternative' lifestyles. We encourage the younger generation to take preventative measures to preserve hearing, as hearing damage is irreversible. Here are some tips to help reduce noise-induced hearing loss. Please contact us for hearing evaluations or to find out more about hearing protection devices. For musicians, we offer offer custom-molded in-ear monitors fitted into medical-grade silicone ear molds, as well as universal fit monitors. You can find out more about these here. For many of us, Summer sounds are pleasant and nostalgic. Crickets chirping, children splashing in the pool, the ocean, and campfires crackling are some common sounds associated with fond Summer memories. But, some of the most harmful sounds to your ears are also associated with this season: fireworks, lawnmowers, power tools, and outdoor concerts are among the loudest. October is National Protect Your Hearing Month. As audiologists, we see the effects that noise has on our patients' hearing on a weekly, if not daily, basis. It's not just our patients: approximately 26 million Americans between the ages of 20-69 have hearing loss caused by exposure to loud noises. Noise-induced hearing loss is caused by damage to the hair cells that are found in our inner ear. Hair cells are small sensory cells that convert the sounds we hear (sound energy) into electrical signals that travel to the brain. Once damaged, our hair cells cannot grow back, causing permanent hearing loss. Normal conversations are around 60dB. Hair dryers and blenders are 90dB. Ambulance, police and fire sirens are 130 dB. Gunshots and fireworks are 140 dB. A good rule of thumb is that if you have to raise your voice to speak to someone an arm's length away, the surrounding noise is too loud. If you hear ringing, buzzing or experience temporary hearing loss when leaving work or a concert, the noise is too loud. Parents - if you can hear sounds from your child's headphones or earbuds while standing next to them, the volume is too loud. The risk for noise-induced hearing loss is especially high among factory workers, transportation workers, military personnel, construction workers, musicians and entertainers, those who work frequently with heavy machinery, and first responders. The Occupational Safety and Health Administration (OSHA) requires that employers implement a Hearing Conservation Program if workers are exposed to an average noise level of 85 dB or higher over an 8-hour work period. According to OSHA, Hearing Conservation Programs require employers to measure noise levels, provide free annual hearing exams, free hearing protection, provide training, and conduct evaluations of the adequacy of the hearing protectors in use unless changes to tools, equipment and schedules are made less noisy and/or worker exposure to noise is less than the 85 dBA. If you are attending a sporting event, concert, parade, fireworks show, or any other type of event, you should always pack a set of earplugs that can be purchased at your local pharmacy. This is especially true for children. For people who are exposed to loud noises on a daily basis, we offer custom-molded earplugs, made from medical-grade silicone. Our earplugs offer a level of comfort and protection that you won't find in standard, generic earplugs. These earplugs are vented to allow sound to pass both ways, so you don't get that "plugged up" feeling. If you're often having to speak over the noise in your work or leisure environments, call us for a hearing protection consultation.